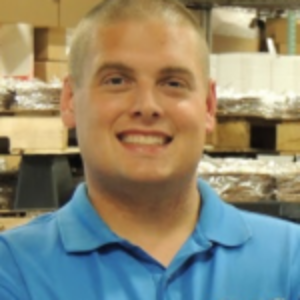 An inspiration for all young entrepreneurs with big goals for their business; Ryan Novak went from a dishwasher at age 15 to owner in just six short years. An inspiration for all young entrepreneurs with big goals for their business; Ryan Novak went from a dishwasher at age 15 to owner in just six short years. By the age of 21, he had begun transforming the small-town chocolate shop into a multi-million-dollar company. Chocolate Pizza and Peanut Butter Wings lead a line of over 100 gourmet chocolate specialties made by Chocolate Pizza Company that are popular gifts for business or personal occasions, especially the holidays. But Ryan Novak doesn’t stop there. He is a mentor to his employees as well as a motivational speaker at many local events – sharing his secrets to success. Chocolate has been in my blood from a very young age. As a toddler, the Chocolate Pizza Company store was across the street from my house and my mom would take me over in a stroller. They tell me I was very good at reaching up and finding the sample tray while the women talked. At the age of 15, I got my first job at the company washing dishes and mopping floors. I loved working there and learned everything I could about the business. My enthusiasm was rewarded by the founder who mentored me in how to work with chocolate. It was just a small-town chocolate shop when she retired in 2010 but I knew it could be much more so I offered to buy it and she agreed. I was 21 years-old. One of the trends in the chocolate industry has been a move toward dark chocolate. Historically, milk chocolate dominates the sales of gourmet chocolate and it still outsells dark chocolate by several multiples but there is an unmistakable shift toward more customer interest in the higher cocoa content dark chocolate. The reason is that dark chocolate has been shown to be high in anti-oxidants which are good for the body. Dark chocolate also has less sugar and so is less sweet than milk chocolate. Health conscious consumers are attracted to the benefits of dark chocolate so we’ll see more demand for it going forward. Gourmet chocolate has proven itself to be fairly recession resistant as consumers continue to demonstrate that they will pay for a product that is high quality and practical. The challenge is that the gourmet gift category is very crowded and fiercely competitive. Chocolate is considered a low barrier industry which means that for a modest investment anyone can enter the market – however, being noticed in that market and finding sustainable sales is another issue. The challenge for us as a small business is that we compete against industry giants like Godiva, Lindt and Ghirardelli whose resources are vastly superior to our own. The secret to our success in this competitive land of the giants is that we turn that over-matched weakness into a strength by promoting the uniqueness of our products and by capitalizing on our ability to respond quickly to custom requests. The advent of social media and its broad, immediate access to consumers, has also leveled the playing field to some extent. Chocolate Pizza Company uses an active, dynamic online presence to reach customers that would normally never hear about our small business. My vision for Chocolate Pizza Company has always been to transform a small-town chocolate shop into a national brand. Even as a teenager, I could see huge potential in the product and in its appeal and I knew that with the right energy, resources and drive we could compete nationally. Originally, the business started nearly 30 years ago as a gift basket service that wanted something unique for its baskets. The founder had a serendipity moment working with toffee and chocolate one day that led to the Chocolate Pizza idea and soon became the focus of the business. Before I was the owner, customers had a choice of two types of Chocolate Pizza – with nuts and without nuts. Today, we make over 50 different varieties for business and personal gifts. My vision has been to expand the product line, enter new markets and grow the brand on a national stage. We have more than quadrupled sales in the last 5 years, earned trademarks for our core products, Chocolate Pizza® and Peanut Butter Wings®, expanded from zero wholesale accounts in 2010 to hundreds nationwide now, moved from a tiny 2,000 sf leased space to our own 10,000 sf production and retail facility and been featured on Food Network, Discovery Channel, NBC, ABC and in Entrepreneur magazine. The vision is to continue that growth and increase consumer awareness of our brand. The near future for Chocolate Pizza Company is very exciting. We have multiple opportunities that are emerging for us to enter new market channels and reach new customers. Growth in our wholesale business is expected to be significant in the coming 12-18 months as major retailers add our products to their line-up. For example, just last month, we received an order for 31,000 Chocolate Pizzas from a top retailer who will sell our Chocolate Pizza in 215 locations nationwide. That’s a quantum leap from where we were just 5 years ago when I would cold-call local shops and pitch a jar of chocolate dipped cookies to them at $33 as a way of getting our foot in the door. Today, we’re in hundreds of Hallmark stores across 43 states as well as Von Maur, Sheetz, Wegmans and many other top retailers. We will continue to look for opportunities to expand our brand into the marketplace through national retailers. In addition to wholesale growth, the online marketplace is a focus for us as well. We have received online orders from chocolate lovers on 6 continents. We totally redid our website this summer and made it more compatible with ordering from mobile devices which is important in reaching customers so we see big growth in our online business. My strategy in transforming Chocolate Pizza Company from a small-town chocolate shop into an emerging national brand had 3 key elements: 1) increase capacity through investment in equipment; 2) build a high performing team, and 3) take the company aggressively into the national marketplace. Before I could sell in volume, I had to be able to produce in volume so adding equipment to the operation like an enrobing machine, cooling tunnels and computerized melting vats gave me as much as a 10-fold increase in production capacity. Hiring the right team is central to success but it is also a dynamic process. As your business changes and evolves, often the team members change but having the right people at the right time is what keeps momentum behind your growth. Being aggressive in the market place means competing in channels next to industry giants. One place small business can do that most effectively is online. Social media is a space that you must be an expert in. One of my most difficult moments came early in my journey – just trying to buy the business was an enormous struggle. I was 21 years-old, a senior in college, and the country, particularly the northeast, was coming out of a painful recession. The company had been a small-town chocolate shop for 20 years and bankers told me that my business plan to grow sales was one of the best they had ever seen but still not one financial institution would loan me money with most telling me that at 21 I was too young to run a company. It was frustrating but I kept at it. Eventually, I bypassed the banks and proposed a buy-out over time to the founder that worked for both of us. Seven years later, I have quadrupled sales and those same banks line up now asking if I need capital. The episode taught me early that you never quit on a problem. You don’t let negative voices drown out your own. You stay confident in your vision and relentless in your drive and eventually a way forward will surface. There are no entrepreneurs in business who accepted “no” as an answer to critical questions – you work the problem until there is a solution. The customer experience with our product is rooted in the surprising contrast between gourmet chocolate and a whimsical presentation. “Chocolate” and “Pizza” are two of most people’s favorite foods but you don’t normally associate them together so “Chocolate Pizza” has an immediate curiosity factor. You want to know what this concept is and how it could work. Packaging the product in a genuine pizza box reinforces the pizza theme but opening it up and finding gourmet chocolate inside take the experience to another level. The quality of the chocolate sets the tone that this is no ordinary gift. One bite tells the consumer that they have something very special and unexpected. Chocolate Pizza is a fun item to receive because behind that whimsical packaging is exceptional chocolate and something totally unique. People love that combination in a gift and that creates a customer experience that people want to have time and time again. It’s why we have such a huge loyal customer base. The most effective way to motivate others is to lead from the front. You have to set the example every day in what people see you doing – not what they hear you say but what they see you actually doing. I am almost always the first one in and the last one out each day. I do every facet of the operation – my team sees me go from closing major deals with a client to taking out the trash. I work in production and know every piece of equipment and process. I drive a fork truck or run a pallet jack and work the register in the retail store. I work alongside the people I lead. I don’t dictate from behind my desk in my office and I don’t walk around just looking at what is happening. I roll up my sleeves and work and that inspires my team to give their best because they know we are building a business together.